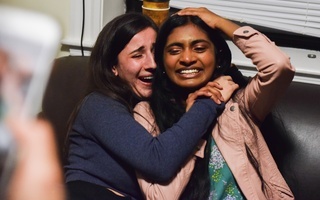 Former Undergraduate Council President Catherine L. Zhang ’19 and Vice President Nicholas D. Boucher ’19 have officially passed the baton to their successors, Sruthi Palaniappan ’20 and Julia M. Huesa ’20, who will lead the Council in 2019. 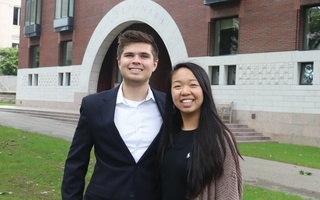 As the year comes to a close, we thank Zhang and Boucher for their service on the Council and offer our reflections on their tenure and the state of the UC. We believe that Zhang and Boucher’s administration effectively spoke up about — or provided a platform for students to speak up about — issues affecting Harvard students. 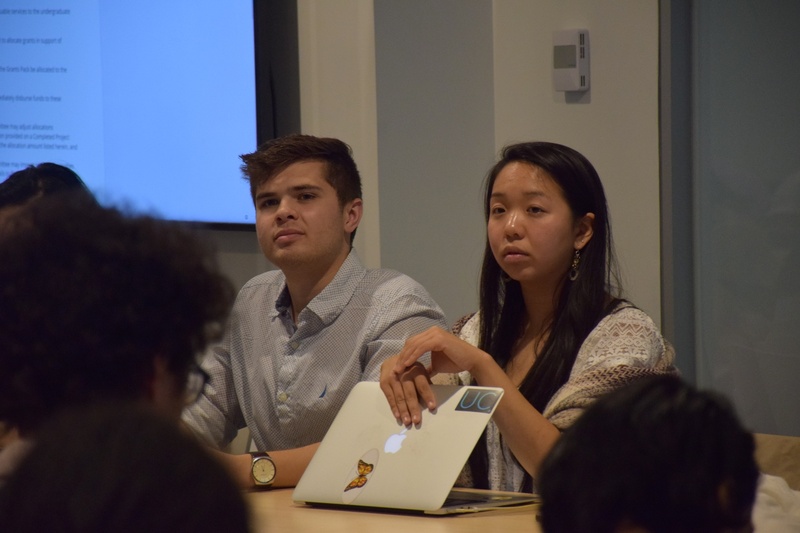 The UC gave voice to overwhelming student concern about the potential elimination of shopping week, condemned Harvard College Faith in Action for dismissing a student for her sexuality, and hosted a town hall for students in the wake of the forcible arrest of a student in April. At various points in time when students needed to voice their opinions, the UC helped students be heard. However, Zhang and Boucher’s administration largely failed to make tangible change, and many of their achievements were only symbolic. The Zhang-Boucher administration deserves credit for securing menstrual products on campus and subsidizing summer storage for some undergraduates. However, its leaders seems to have taken credit for other, years-long initiatives which they could not have substantially impacted, like the College’s new Educational Studies secondary field or the renovated Smith Campus Center. We are specifically disappointed by their slow implementation one of their key campaign promises — a “progress bar” that would allow students to track their administration's completion of its promises, ironically. It took months for the UC to follow through with this campaign promise. 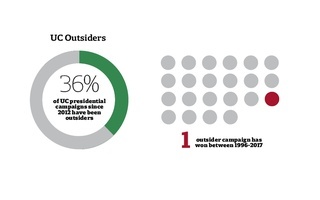 This speaks to a perennial issue for the UC: There is little accountability, and candidates for the Council rarely follow through on their most ambitious campaign promises, if any. Of course, there are structural limitations that will hamper the progress of any UC administration. But, even putting those limitations aside, we still feel that the outgoing administration could have done more, including with its financial stewardship. Dealing with a budget shortfall and persistent financial uncertainty, the UC was forced to tap into its emergency fund this year. 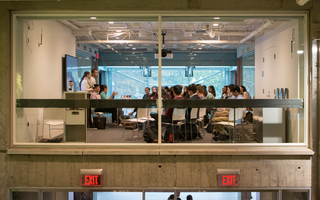 Maintaining fiscal stability is a basic expectation for any organization — and it is especially important for an organization largely responsible for funding other student organizations. When this Editorial Board endorsed Zhang and Boucher during last year’s UC campaign, we believed their “experience, accountability, and transparency” would serve them well in the job. While their experience no doubt enabled them to speak out on important issues meaningfully and allocate funding for campus menstrual products, their delay in implementing the progress bar and lack of any real accountability mechanism has disappointed us. Nonetheless, as the UC turns over a new leaf, we thank Zhang and Boucher administration for the time and effort that they put into serving the student body, and wish them well. Despite the administration’s shortcomings, we would be remiss not to recognize its commitment to trying to improve the Harvard experience for students. That said, Palaniappan and Huesa — and UC leaders to come — should strive to make promises they can follow through on, and more effectively spearhead the management of financial resources.